Me llega este correo avisando que mañana 14 de mayo de 2013 estará a la venta la cámara web hardware de Raspberry en Farnell. Os pongo el enlace donde ya hablamos de ella. Thank you for signing up to receive updates regarding the availability of the Raspberry Pi Camera Board. 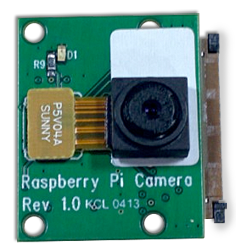 We are extremely pleased to announce that the Raspberry Pi Camera Board will be available to order from 14th of May, and we are telling you 24 hours before anyone else! To place your order, please visit www.farnell.com/pi on 14th of May.